On Friday, September 4th the JOHN W BROWN will shift from Pier 1 to Pier 13 down the street, in Canton. We are pleased to be part of “Warfront to Homefront, WWII in Maryland”, a group of local museums who will be celebrating the 70th anniversary of the end of WWII. We will be open to the pubic from 12 - 5 on Friday and 10 - 5 on Saturday and Sunday. Saturday will be very special as the Engine Room crew will have our triple expansion engines working. They will fire the plant, run all the auxiliaries, all the way up to rolling the main engine. For anyone who appreciates steam power, big engines or vintage machinery this is an experience that will be remembered for a long time. This is where the fun begins with the lighting of the burners. There is a video at the end of this post that takes you through the whole process. The burners are lit about 4:45. 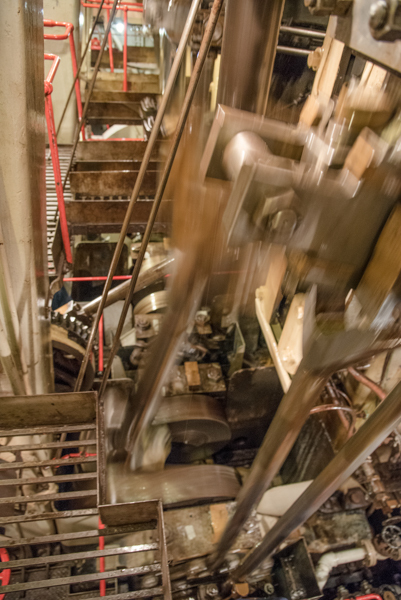 There are walkways along all levels of the engine room and each one gives visitors a different view of the engine at work. The pistons move in order and you can see blur from motion on the left of the photo. 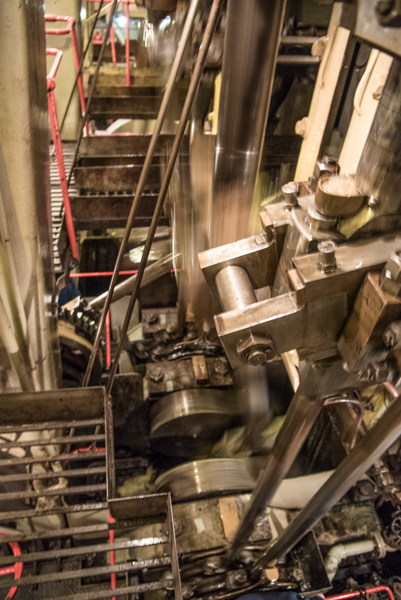 Pictures do not begin to capture the experience of being in the engine room with the engines in motion. The smell and sounds and feel of things moving and whirring is like nothing else. The crew takes very good care of the engine. It's a big job with lots and lots of moving parts. No detail is too small for attention. There are hands stationed at throughout the engine room. They all love talking about the ship too. Even the Coast Guard likes learning about and talking about our steam engine. A big part of the BROWN's mission is education. We host STEM students to provide them with hands on experience of our big machines. These are some of the faces you'll see when you visit on Saturday, September 5th. This video takes you through the process. There will be other WWII vessels, besides the BROWN and SAVANNAH, including a WWII tug.